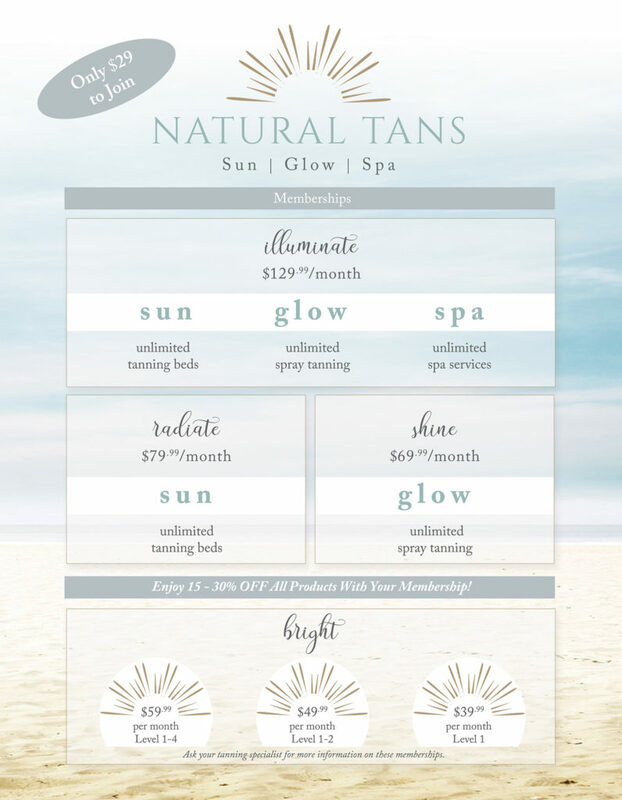 We offer an array of memberships to cater to your SUN, GLOW and SPA needs. All memberships offer unlimited services at a great rate along with additional discounts on services and products. Please call or visit our salon and one of our expert consultants will assist you in choosing the membership that works best for you!